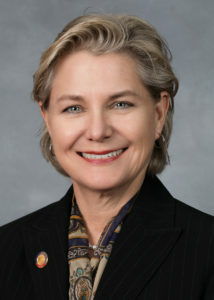 During the 2018 short session, Senator Jackson sponsored the NC Farm Act of 2018, which protects corporate polluters by severely restricting citizens’ ability to file nuisance lawsuits against hog farms’ “agricultural operations” (flowery language for spray fields and manure lagoons). This gives giant corporations carte blanche to continue polluting communities without repercussions. 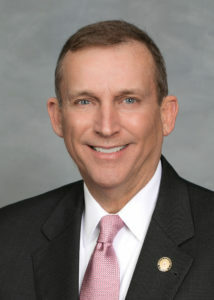 Representative Dixon, who receives a significant amount of money from the pork industry, authored House Bill 467, Agriculture and Forestry Nuisance Remedies. 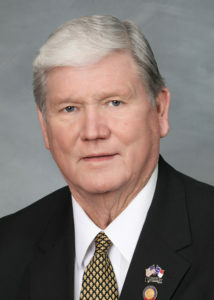 HB 467 was a precursor to Senator Jackson’s Farm Act, and significantly reduced the compensation citizens can receive in nuisance litigation against hog corporations. 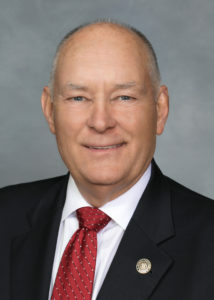 Dixon was also an outspoken supporter of the Farm Act, demonstrating how he puts large corporations’ bank accounts ahead of North Carolinians’ health. Senate Majority Leader Brown has supported many of the anti-conservation laws passed by the Senate these past two years, and has been a staunch opponent of wind energy throughout his political career. 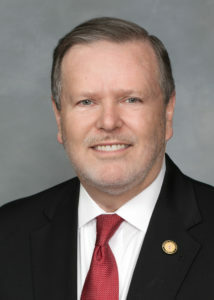 Perhaps his worst act yet was the last-minute rewrite of House Bill 589, Competitive Energy Solutions for North Carolina. This bill was designed to bolster the solar energy industry, yet Senator Brown’s revision pitted solar against wind, placing an 18-month moratorium on new wind farms, though his original recommendation was a four-year moratorium. Brown claimed the wind farms pose threats to North Carolina’s military bases, despite the Department of Defense already having the power to review and approve wind developments before they are constructed. House Speaker Moore and Senate President Pro Tempore Berger possess outsized influence over state policy. Unfortunately, these two have used their power to allow anti-environmental legislation to prevail, and have largely shut out dissenting opinions. For example, Berger and Moore made the environmentally disastrous decision to pass the 2018 budget using a conference report. This fundamentally undemocratic move limited debate, and did not allow rank-and-file lawmakers from either party to offer amendments. The result? A budget which underfunded DEQ and inadequately addressed GenX. Representative Butler of New Hanover County has fought tooth and nail to solve the GenX crisis. 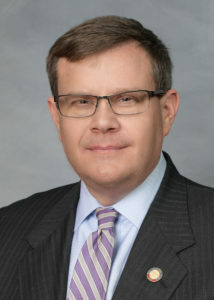 Immediately after the Wilmington StarNews reported that the drinking water in the Cape Fear River Basin was severely contaminated, Representative Butler called legislators to action. In her memo to them, Butler outlined the severity of the problem and the need for regulatory action, and pleaded for an increase in DEQ funding. Her persistence has been truly admirable. Representative Butler has requested to be placed on the House Committee on River Quality three times, yet she has either been denied or left in limbo each time. Butler, whose district has been affected by the GenX water contamination, has been vocally critical of her colleagues’ lack of urgency and their failure to take action. Butler earned our 2018 Green Tie Representative of the Year Award for her tireless persistence on this issue, becoming the first freshman legislator to win the award. We applaud you, Representative Butler, for holding your colleagues accountable on GenX. 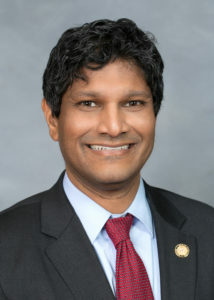 Senator Chaudhuri of Wake County has continuously proven to be an environmental champion, an outspoken opponent of coal ash pollution, and a steady proponent of climate action. Senator Chaudhuri speaks out against large-scale polluters. In his role on the Agriculture, Environmental, and Natural Resources Committee, Chaudhuri has consistently advocated for regulatory action to protect the environment. His 100% lifetime score reflects his commitment to taking environmentally conscious legislative action. Thank you, Senator Chaudhuri, for your firm commitment to safeguarding North Carolina’s environment. We would also like to congratulate the legislators who have maintained perfect lifetime scores throughout the history of the NCLCV scorecard. These environmental champions have demonstrated a firm commitment to protecting the air we breathe and the water we drink. 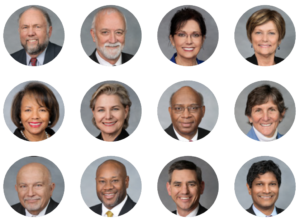 Thank you to Representatives John Ager, John Autry, Cynthia Ball, Mary Belk, Mary Ann Black, Deb Butler, Terry Garrison, Pricey Harrison, Joe John, Amos Quick, and Brian Turner, and Senators Jay Chaudhuri and Toby Fitch.